Production Grand requires Kontakt (not provided). Production Grand – Educational Price: $229 plus shipping. Savings of $100. 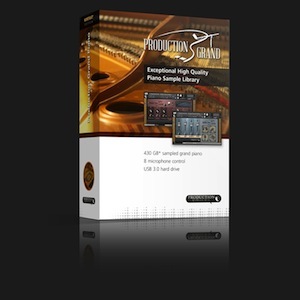 Production Grand Gold – Educational Price: $159. Savings of $90. Production Grand LE – Educational Price: $129.99 Savings of $70.